Vivo mobiles have gained popularity among the budget smartphone users in India. The Vivo v1 and Vivo y11 have been reviewed positively by users, firms, and tech bloggers. The brand has gained the Value for money quotient, for they offer cheaper products with better specifications. Vivo Xplay5 features a Qualcomm MSM8976 Snapdragon 652 chipset, a Octa-core (4x1.8 GHz Cortex-A72 & 4x1.4 GHz Cortex-A53) processor and the graphics are powered by a Adreno 510 GPU unit. The phone comes with a 4GB RAM for ensuring a seamless multitasking experience. Vivo Xplay5 comes with internal storage capacity of 128GB. The only downside to this is that ir cannot be extended using a expandable memory card. The Vivo Xplay5 is equipped with a 16MP primary camera with dual tone flash. It features geo-tagging, touch focus, face detection, panorama, HDR, and geo-tagging, touch focus, face detection, panorama, HDR. The primary camera is a 8MP shooter which is designed to take selfies.The Vivo Xplay5 camera reviews are yet to be out. The Vivo Xplay5 is equipped with a 3600mAh lithium ium non-removable battery. This is adequate for a phone with this specifications and should be able to provide an average battery life if 12-20 hours based on usage. The Vivo Xplay5 price has is just the right fit. The phone promises its users an avid gaming experience, satiates the photo frenzy people and also does not run out of juice too quickly while doing all this. The Vivo Xplay5 can be considered a worthy buy when compared in the lower premium segment. 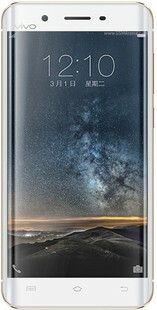 vivo Xplay5 full specs and reviews as of Apr 2019. Buy it here!